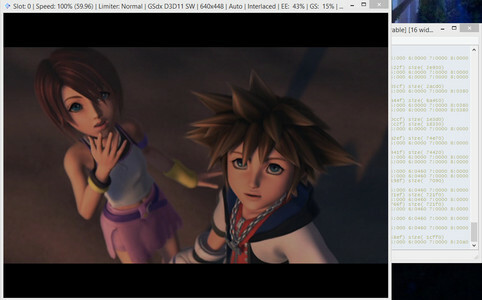 Unfortunately, there are no actual Kingdom Hearts games for PC. All game video made with it on the PC are using some thing called an emulator, which is a program that can play games designed to run on different consoles like, in your case, the Playstation 2. There are plenty of tutorials online for how to play it on your PC though. I can help te there first download PCSX2 1.4.0 Standalone Installer - 1.4.0 : https://pcsx2.net/download/releases/windows.html then download the PS2 BIOS Files: https://www.loveroms.com/extras/ps2-bios.php now this Emulator is for the PS2 Versions. te can get Kingdom Hearts 1: https://www.emuparadise.me/Sony_Playstation_2_ISOs/Kingdom_Hearts_(USA)/150757 te can get Kingdom Hearts Re:Chain of Memories: https://www.emuparadise.me/Sony_Playstation_2_ISOs/Kingdom_Hearts_-_Re-Chain_of_Memories_(USA)/150357 te can get Kingdom Hearts 2: https://www.emuparadise.me/Sony_Playstation_2_ISOs/Kingdom_Hearts_II_(USA)/150356 There are tutorials on how to set up the Emulator on YouTube. Hope this helps.